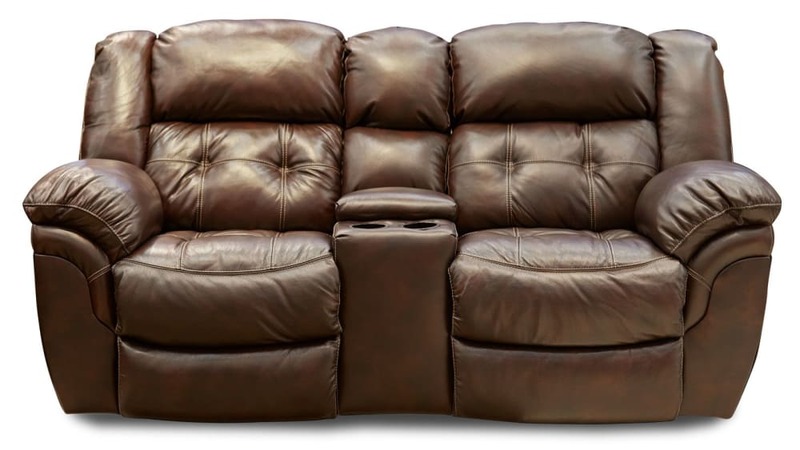 No matter how your day goes, this reclining loveseat's ultra-soft leather, spacious seating, and solidly built frame will warmly welcome you home. Welcome this loveseat into your home TODAY, with Gallery Furniture's same-day delivery! 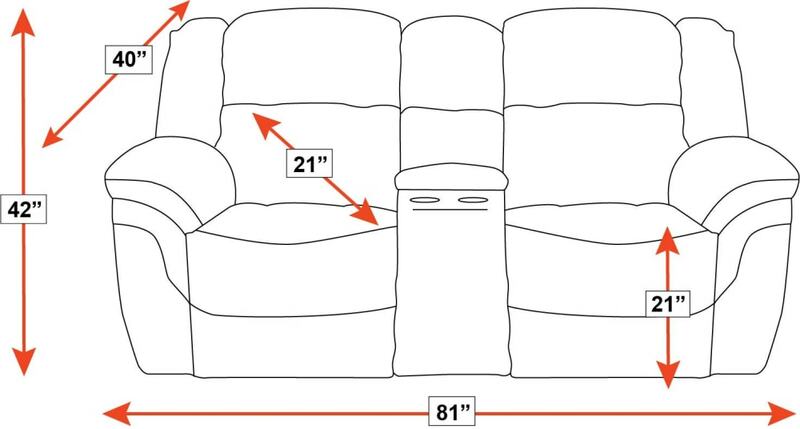 This loveseat offers a number of reclining options, which you can enjoy with easy-touch electronic controls. Sinuous steel springs provide top-of-the-line, supportive seating. Solidly built frame features one-piece arm frame construction, secured with mortise and tenon joints. Plush cushioning and spacious seating make this loveseat a favorite. The spacious center console allows you to keep a drink within easy reach, as well as providing convenient storage for remotes, magazines, or anything you like.